Join CAMMAC in welcoming the Cheng2 Duo back to Ottawa in a Benefit Concert on Sunday, April 14 at 7:30 p.m. at St. Bartholomew’s Anglican Church, 125 MacKay St., Ottawa. Since debuting at Carnegie Hall in 2011, the Cheng2 Duo (pronounced Cheng Squared Duo) continues to be celebrated by audiences and critics alike for its artistic excellence, generous spirit, and compelling vibrancy. Named one of CBC Music’s “30 hot Canadian classical musicians under 30,” the duo’s refreshing approach to making classical music accessible to new audiences of all backgrounds is steeped in a rare balance of infectious joy and enthusiasm in their playing on one hand, and mature, historically informed, and profound interpretations on the other. The brother-and-sister duo is formed by 21-year-old cellist Bryan Cheng, top prize laureate of the VI International Paulo Cello Competition, and pianist Silvie Cheng, recipient of the Roy M. Rubinstein Award for exceptional promise in piano performance. Bryan is also a Canada Council for the Arts’ Musical Instrument Bank winner – having the use of the ca. 1696 Bonjour Stradivarius cello. 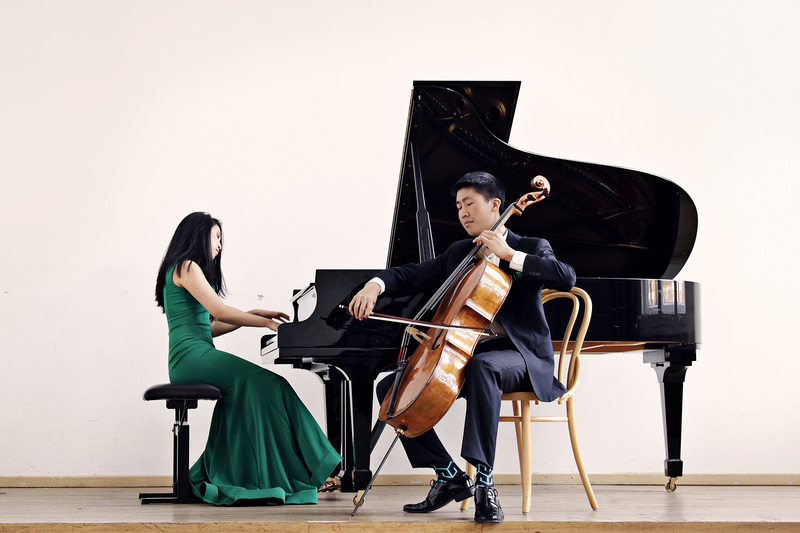 This concert, part of the Cheng2 Duo’s North America tour, is their second engagement with CAMMAC, having performed at the CAMMAC Musical Sundays Festival in 2016. The Benefit Concert will be followed by a reception—an opportunity to meet the artists and fellow music lovers from Ottawa and beyond over a glass of wine. Proceeds from the evening will help support CAMMAC music programs providing opportunities for people of all ages to experience the joy of making music together in a welcoming, supportive environment. Tickets are $75 ($35 tax receipt). Since its inception in 1953, CAMMAC’s (Canadian Amateur Musicians /Musiciens amateurs du Canada) mission has been to encourage people to experience the joy of making music together in a welcoming, supportive, bilingual environment, creating bonds between people that transcend age, language and cultural differences. It is a cultural leader in the region, educating future audiences, and offering instruction by professional musicians for amateur musicians of all levels and all ages, including entire families. CAMMAC’s Music Centre on Lake MacDonald in Harrington, QC offers full-week and long weekend programs in enchanting surroundings. Its eco-designed main building boasts a 200-seat concert hall with outstanding acoustics. Its extensive library of chamber music and choral scores is used by many music groups. Every year, CAMMAC welcomes the public to the Musical Sundays Festival, a series of seven professional concerts and family brunches at its music centre.